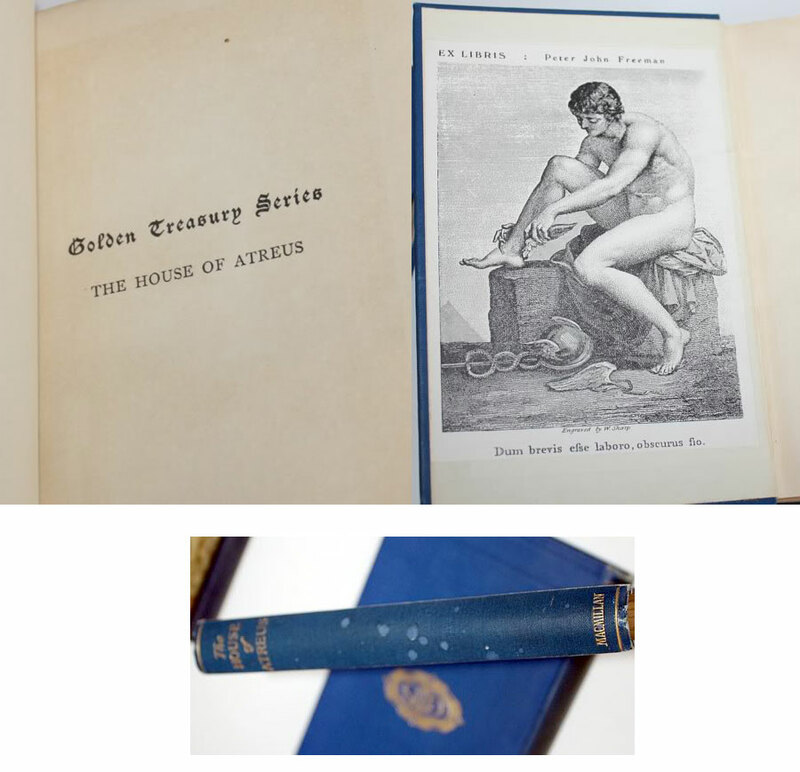 The Atreus family was quite an unlucky family. For generations, these god-defying descendants of Tantalus committed crimes that cried out for revenge: brother against brother, father against son, father against daughter, son against mother. 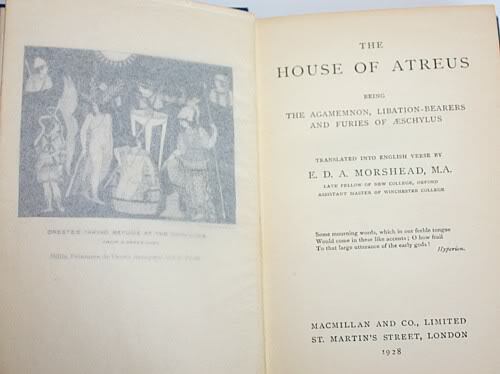 Printed in London byMacMillan And Co., 1928. Golden Treasury Series. A good copy in the original gilt-blocked cloth. Cover is in good condition, of note, a few water spots on spine.